Palo Alto bridge to span fourteen lanes of San Francisco’s 101 Freeway « Adafruit Industries – Makers, hackers, artists, designers and engineers! 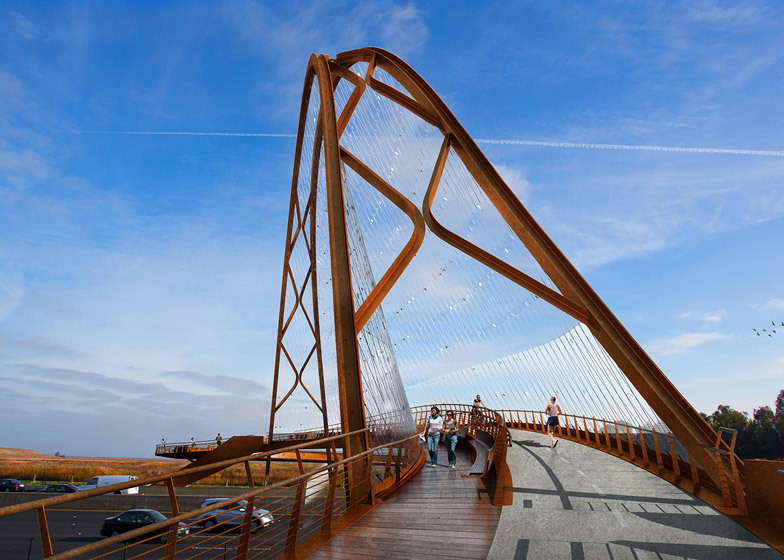 a team led by 64North Architecture has won a competition to design a pedestrian and cyclist bridge connecting the San Francisco Bay waterfront and the Palo Alto district – home to some of the world’s leading technology companies. 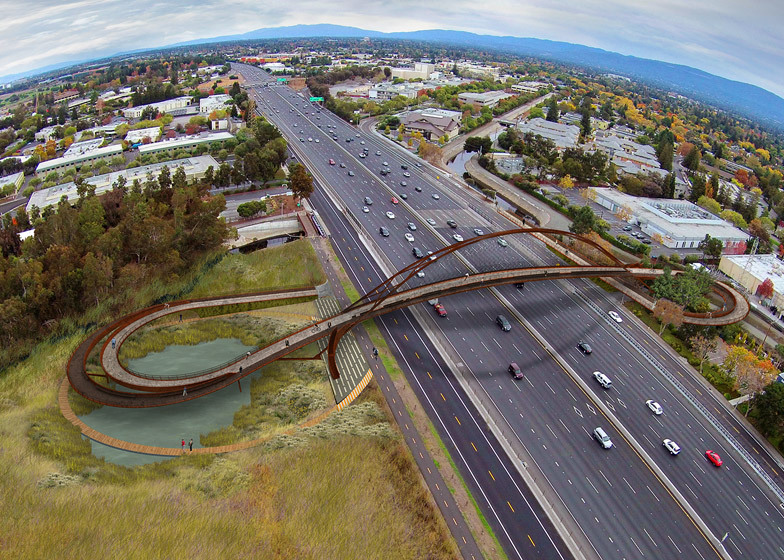 Called Confluence, the winning design is a weathered steel structure that spirals gently up from the ground and is supported by a series of cables extending down from an arch that spans the width of the 14-lane 101 Freeway.